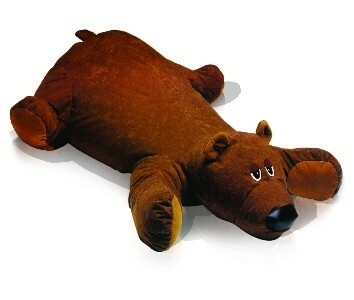 43" x 37" x 18"
What could be sweeter than our Fun Factory Baby Bear Rug Pals bean bag? 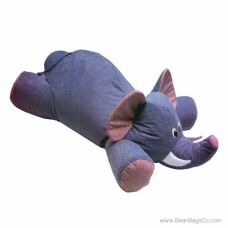 From the moment you bring this special friend home, your little one will love sitting in this great lounger. 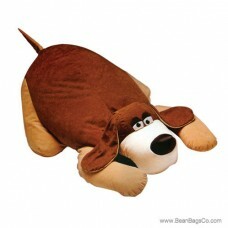 The soft velvet exterior comforts and soothes while the sturdy and fluffy stuffing provides great support. This well-built piece of casual furniture will be an instant hit with your child—and with you! The soft velvet exterior is easily cleaned with a damp cloth, and the filler provides a cradling comfort for your child while he or she watches television, plays games, or listens to music. This Baby Bear is sure to become your best junior furniture purchase ever. Sized perfectly for your little one’s needs, neither too big nor too small, your child will have found the perfect seat in the house! 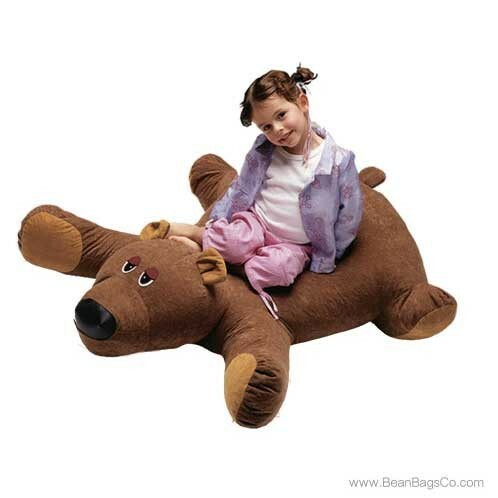 Order the Fun Factor Baby Bear bean bag chair for your child and see how much fun a simple chair can be.